All quotes in this discussion come from the book “Team of Rivals” by Doris Kearns Goodwin. Buy this book here. Abraham Lincoln is arguably among the most well-known men in American history. The 16th President of the United States, Lincoln presided during the American Civil War, a time where democracy was on the brink of destruction. He led the Union to victory after a grueling four years, but also spearheaded the biggest contribution in America history; the emancipation of slavery. Only a man with the political savviness of Lincoln could get such a controversial bill through Congress. Most of the men who knew Lincoln personally knew they were in the company of a legend. In this article we will look at the characteristics of Lincoln and how you can apply them to your life. We’ll look to answer the questions – How did he accomplish so much, so fast, against overwhelming odds? How did a boy who grew up on the plains of the frontier, rise up to become one of the greatest men who have lived? Since his death in 1865, Lincoln has been the subject of countless books. One book stands near the top of the list. In “Team of Rivals,” Doris Kearns Goodwin examines Lincoln through a unique lens, studying him along side the men who unsuccessfully challenged him in the 1860 Republican Party nomination. These three men; William Seward, Salmon Chase, and Edward Bates, would put aside their ego’s and differences to serve with Lincoln for the greater good of the country. Goodwin does a brilliant job of assessing Lincoln as well, through a mind-boggling array of first hand accounts. We see how he weathered the storm of war, simultaneously holding the country together while also planting the seeds for the America we’ve come to know today. 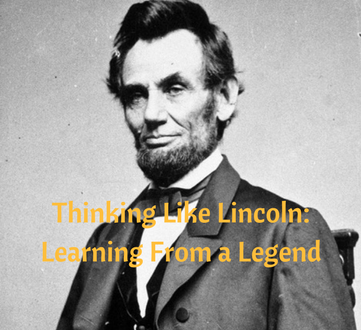 In this discussion, we will use quotes from Goodwin’s book to piece together the defining characteristics of Lincoln and examine how you can apply them to your own life. By the time Lincoln ran for President, he was a master conversationalist. His speeches, especially the Gettysburg Address, are still talked about today. One of the keys to success is communication. A man must be strong in the presence of others. The ability to tell a story, to captivate an audience, is an unquestioned skill of the great men of history. Those who wilt away in the presence of others set themselves up for an average life. Lincoln forged confidence through his storytelling. True leaders win the hearts and minds of the masses, and do so through strong rhetoric and confidence in their actions. A sense of humor should be a staple characteristic in your repertoire. 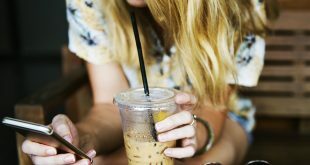 Humor does wonders with women, but it also helps to break down barriers with new acquaintances, forming friendships or business relationships. Lincoln would tell funny stories to his cabinet members to help lighten the mood during the savagery of the Civil War. He had an intuition that told him when his humor would help take the edge off the situation. Humor is versatile and some people are undoubtedly more humorous than others, but it’s a skill that can be practiced and improved. When times are hard, humor is a tool to help carry you. Lincoln was a man who listened to the opinions of others, carefully weighing the thoughts of his cabinet members. He always sought to understand both sides of a point of view. But in the end, he always made his own decision. He was never afraid to go against the consensus, but rarely had to because he developed the ability to know when the people were ready for something. Always think through big decisions and come to your own conclusion. It is fine to carefully weight the expertise of others, but you should never be persuaded into doing anything you don’t believe in wholeheartedly. Often times, even those we consider friends will give us bad advice. They persuade us to do things we’d never do on our own accord, due to jealousy, misunderstanding, risk aversion, and scorn for our success. Make your own decisions and stick to them! As a child, Lincoln became obsessed with reading, a familiar indicator of future success. Because he was needed on his father’s farm, he had barely any formal schooling. He seemed condemned to a life of hard labor on the frontier, but his grit and determination carried him. Lincoln was the definition of a self-made man. There is a story from Lincoln’s childhood that speaks to his devotion to reading. He had borrowed a book, and while in his possession, the book had been ruined. To pay back the owner, Lincoln labored for two days on the man’s farm! It’s simple; to go far in life, no matter your undertaking, you MUST be well-read. It is the best habit you could ever acquire. Nothing sums up Lincoln’s confidence more than an exchange he had with General Ulysses S. Grant towards the end of the war. According to Goodwin, “Grant asked, ‘Mr. President, did you at any time doubt the final success of the cause?’ ‘Never for a moment,’ Lincoln replied.” Even in knowing it was only a matter of time before victory would be complete, Lincoln displayed no outward signs of pride or vanity. He did not berate the South for seceding from the Union, or seek revenge on Confederate leaders. He always put the interests of the country first, remaining his same Stoic self, the same man he had been during the preceding war years. Lincoln wasn’t the first or last great leader that embodied these character traits. There is nothing unique here, nothing you haven’t seen before. You too have the ability to master these characteristics. Humor and storytelling come from practice, and often go hand and hand. People love to be around someone who can entertain them and make them laugh. Independent thought and self-confidence also strongly correlate to one another. Those people who don’t waver when faced with adversity has a strong belief in their convictions. And finally, reading, the common link to all success stories, is something each one of you can get started on today. Lincoln was a man of the people, because he was one of them. He never had an inflated sense of self-worth. He never believed himself to be better than anyone. What he did do, however, was have an ironclad belief in himself and his abilities. He believed he was the most capable man the country had at a time when such a leader was so desperately needed. One could argue Lincoln was a product of the times, that pure luck put him in the perfect time and place to do great things. But with all men of history, those people born into chaotic times must still rise to the occasion. Lincoln is a man to emulate, and thanks to the wealth of knowledge we have, you can do just that. There was no secret to his success, just a savage work ethic and belief in self. You must take action. You can do great things just the same as anyone else. We all have the same hours in the day. Work hard, stay focused, and always push ahead. Want more of these articles? Be sure to sign up to my weekly e-mail list. Comment below with any feedback or questions!